Apple launched a new high-end smartphone called iPhone 8 Plus into the market. The price is around Rs.70,000/- in India and $799 in the USA. Currently, it is available on the online shopping sites like Flipkart, Amazon to buy. So, check out Apple iPhone 8 Plus complete advantages, disadvantages, price & specifications before purchasing. 5.5 inch LED-backlit IPS LCD, capacitive touchscreen, 16M colors. Ultra powerful Apple A11 Bionic chipset. Dual 12 MP rear camera, 7 MP front camera. 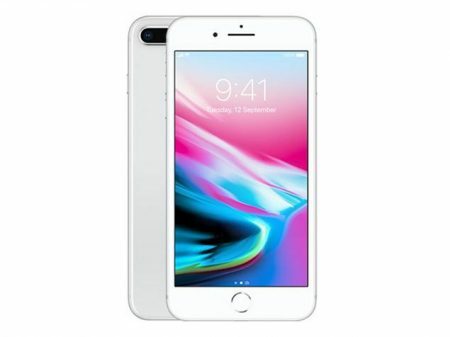 Apple iPhone 8 Plus comes with latest iOS 11. It equipped with Hexa-core processor. Brings an internal memory of 64/256 GB and with no expandable memory support. Comes with Dual 12 MP rear camera and with additional features like (28mm, f/1.8, OIS & 56mm, f/2.8), phase detection autofocus, 2x optical zoom, quad-LED (dual tone) flash, Geo-tagging, simultaneous 4K video and 8MP image recording, touch focus, face/smile detection, HDR (photo/panorama). Its display has good pixel density for its resolution (~401 PPI pixel density) which is required for its 5.5-inch screen. Comes with Ion-strengthened glass, oleophobic coating as a screen protection feature. 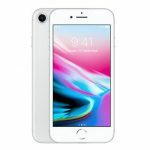 Apple iPhone 8 Plus is IP67 certified – dust and water resistant device. It is a water resistant up to 1 meter and 30 minutes. It comes with Retina Full HD Display which is the brightest, more colorful display yet in iPhone History. It comes with stereo speakers which double the audio output with increased dynamic range. The Earpods in this model comes with a lightning connector, but you can also listen using your old headphones, you can plug them into a 3.5 mm headphone jack adaptor. Comes in multiple color variants like Silver, Space Gray, Gold. Its design and build quality are great. It has the battery capacity of 2691 mAh which is good for heavy usage. 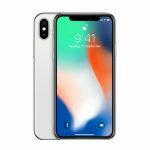 It comes with additional features like Fast battery charging: 50% in 30 min, Qi wireless charging, Siri natural language commands and dictation, iCloud cloud service, Active noise cancellation with dedicated mic, 3.5 mm to lightning headphone adapter incl. Supports sensors like Fingerprint (front-mounted), accelerometer, gyro, proximity, compass, barometer. It weighs very heavy more than 200g. No Quad HD display resolution. Additional Features & Apps Fast battery charging: 50% in 30 min, Qi wireless charging, Siri natural language commands and dictation, iCloud cloud service, Active noise cancellation with dedicated mic. Apple iPhone 8 Plus smartphone comes with just incremental updates there is nothing new on this smartphone. It is very pricey for its features. Please check other mobiles before purchasing.